According to Kotaku, the new burger will feature a croquette made with snow crab and mushrooms, served with Ciabatta bread, with lettuce and tomato sauce as additional toppings. Judging on its appearance, the sandwich looks like a mix between the McDonald’s McChicken and the restaurant’s world famous hash browns. The word croquette is a French word, but its Japanese version was korokke, which has been a staple of Japanese comfort food since the beginning of the 20th century. Croquettes are fairly common in Japan, and crab croquette is one of their favorites, so they don’t see crab burger as very unusual. Croquettes are a small bread crumbed fried food roll containing a main ingredient which is either mashed potatoes and/or ground meat shellfish, fish, cheese, or vegetables. 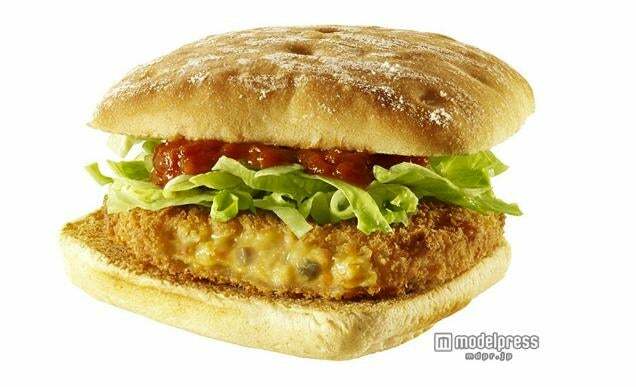 Last year, Wendy’s Japan also tried including crabs with their burger. Wendy’s called their new burger, Snow Crab Burger, which features strips of snow crab doused in a crab and shrimp shell bisque, along with spring greens and cheese sauce, all atop a beef patty. Few months ago, a company called Salta Burgers built a real-life Krusty Krab restaurant in the Palestinian city of Ramallah. Netizens reacted differently on the new burger offering; some excited about the new menu addition while others are skeptical about its taste.